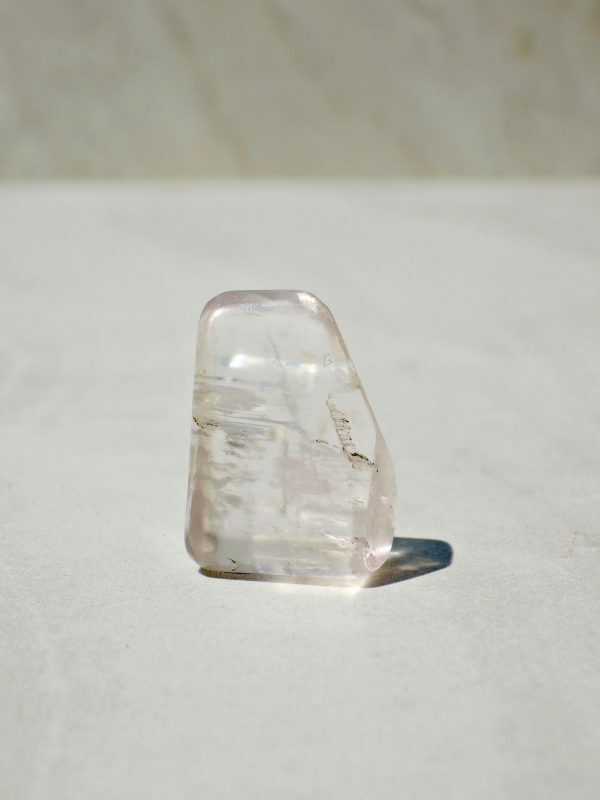 A beautifully sculpted freeform Pink Kunzite, this small, gently-rounded piece packs a potent punch. 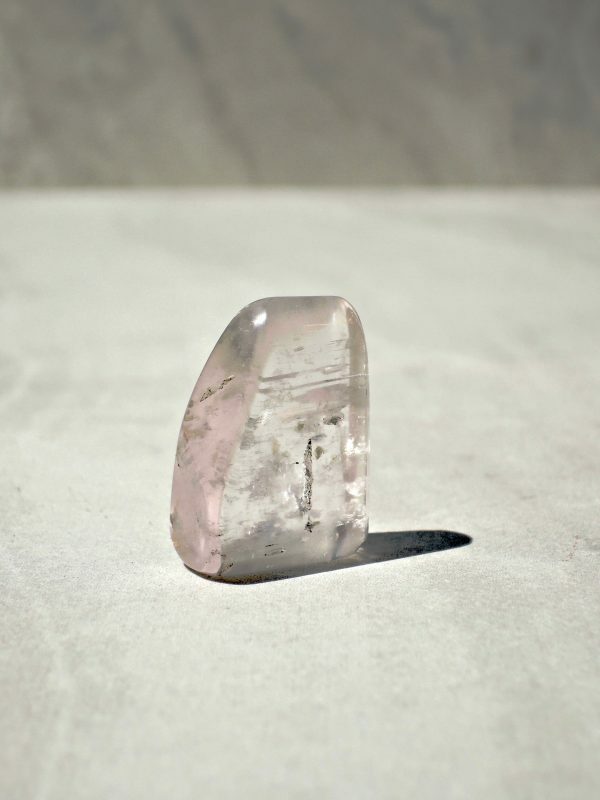 Its pale pink color resonates with the peaceful energy it carries. 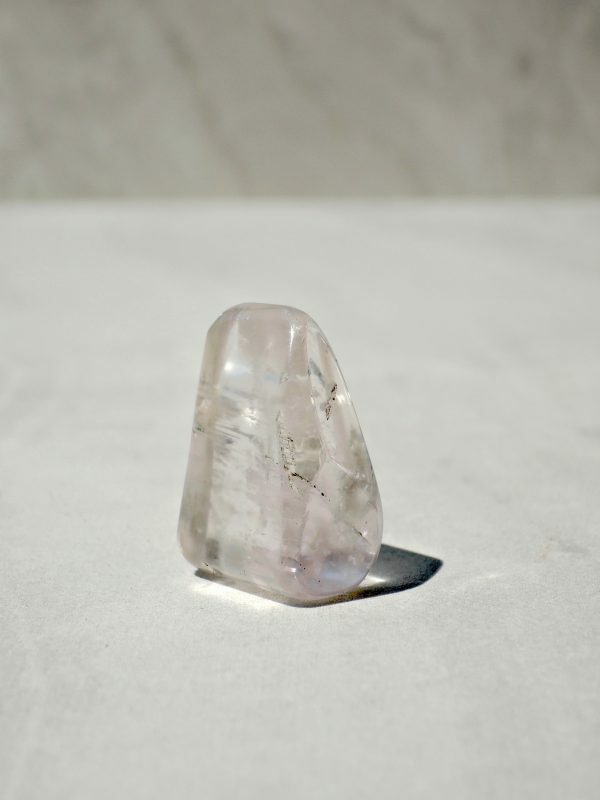 Kunzite transmits a deeply loving vibration, based in unconditional acceptance of oneself and others – not a bad foundation from which to navigate in romantic, friend or family relationships. 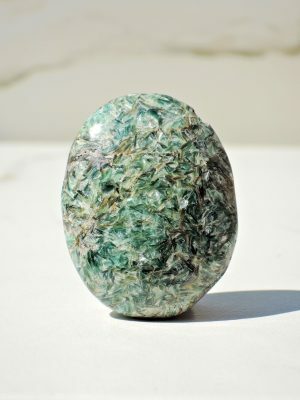 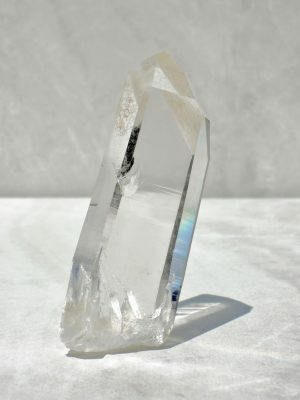 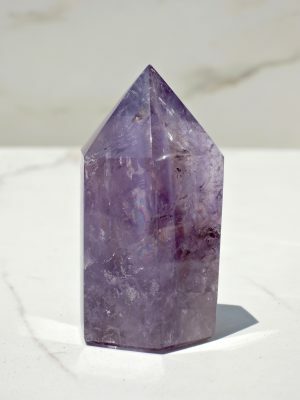 Use it as a companion during meditation to open your heart to receiving love, or place it by your nightstand with a Rose Quartz point to help attract romance.